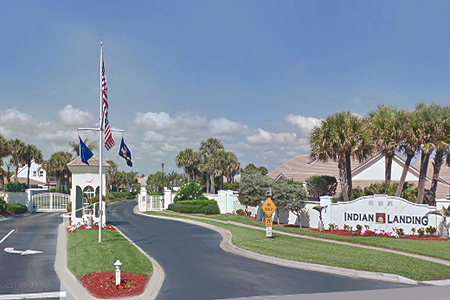 Indian Landing in Melbourne Beach is an exclusive gated community featuring canalfront executive homes and a variety of townhomes, including some on canalfront properties with small boat slips. This desirable planned development includes numerous upscale amenities – private beach access, tennis, community pool, clubhouse, boat ramp and more. 3.1 miles south of Driftwood Plaza (Publix). Indian Landing of Melbourne Beach is located in the middle south beaches. 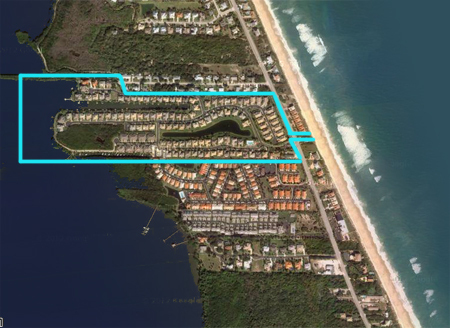 Enter community from Highway A1A via gated Solway Drive. 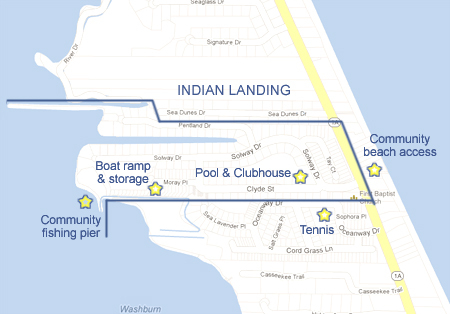 Beaches: Indian Landing features a deeded beach access across from the community entrance.